With that comes the need for excellent communication skills and creating great relationships in different parts of the business, something Foote agrees requires a lot of work. “But in that sense, you gain the trust and respect for people to be able to support you as you move into more senior positions,” he says. The other vital pillar of successful leadership is being customer-led, something that’s more important than ever given how fast everything is moving. The good news for CMOs is it’s this combination of leadership, commitment to learning and customer focus Foote believes make marketers the ideal candidate for the next generation of organisational leadership. He cites a rising trend of Australian recruiters looking to fill CEO positions with individuals that boast strong marketing backgrounds. This lies in direct contrast to the historic preference for finance or operational leaders for the top job. “There are a lot of good leadership traits you could throw over most marketers. They have a lot of the soft skills necessary to lead teams and large teams with different sorts of functions,” Foote says. “A lot are good communicators, as it’s a key part of the role. “The old trend was the CFO was next in line and could run a business through the P&L. But I think that will become a very rare state moving forward. In this vein, Foote says one of his idols in business is Walt Disney. “He had a simple principle: Exceed customer expectations at every point. If you do that, you’re a long way along the journey to being successful,” he says. Foote knows first-hand what it takes to move up the ranks from marketing executive to leader, then group strategist, divisional leader and now CEO. He started his career at small New Zealand ISP, iHug, moving on to marketing executive then head of a 12-strong team. From there, he put his hand up to help set up the new Australian division and within 12 months was second-in-command of a 150-person business unit. 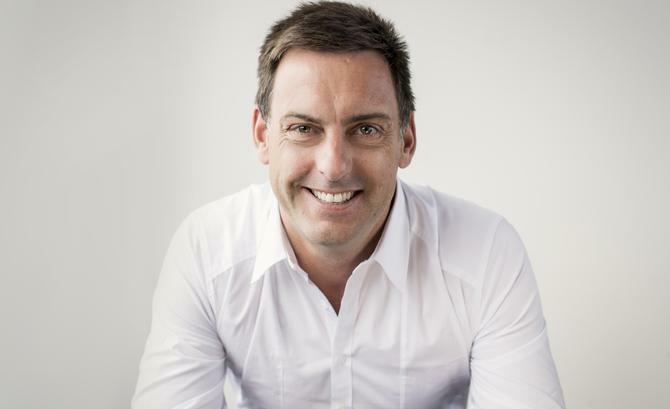 After selling iHug to iiNet in 2004, Foote went overseas, undertook an MBA, then came back to Australia into a product marketing role across Optus’ new pre-paid offering. It’s there he says he truly learnt the marketing trade and specifically, how to harness data to drive competitive edge. “We had so much data on the customer, which I felt not many people in marketing teams were taking enough of a look at and making decisions based on. But I thought data made the job so straightforward,” he recalls. “That data told me what customer value drivers were when they chose which business to go with, where their perceptions in the market fell, plus who was leading in different areas of value. From there, Foote shifted to head of strategy, followed by managing director for large SingTel Optus subsidiary, PPS. “I understood the customer well, then put my hand up for opportunities that I was rewarded with,” he says. “A principle throughout my career has always been to firstly work hard and do as good a job as I could. Secondly, it’s to put my hand up for any opportunity to take on more. Now I lead a lot of people, I have realised very few people put their hands up to do more work, or look for new opportunities. Wanting to gain more digital experience, Foote joined CareerOne as director of marketing, rising up to COO then CEO. Again, by taking a very customer-centric view on the job seeker, CareerOne showed strong growth during that time, he says. His next and current role is with AIM, which he joined nearly just over a year ago.